What is so great about N98? Well, it shall be the camera, 7.2MP with Xenon Flash. 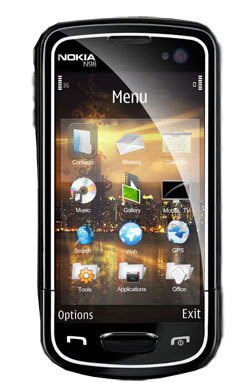 Nokia's second phone right after N82, using Xenon Flash. Best of all, it has Digital Zoom and Optical Zoom, I'm not sure about the numbers, different sites show different number. Not gonna type more about it. Click HERE to get to know more regarding the specs. Wow .. Nice phone .. I like it.